Support for lines merge in PDF files is a huge feature in AcroPlot and it can save the user countless hours of messing with the draworder to get the proper results. But it does come at a price. 3.) Problems printing PDF files from Adobe Reader, Acrobat, and most Ghostscript based Reprographics software. 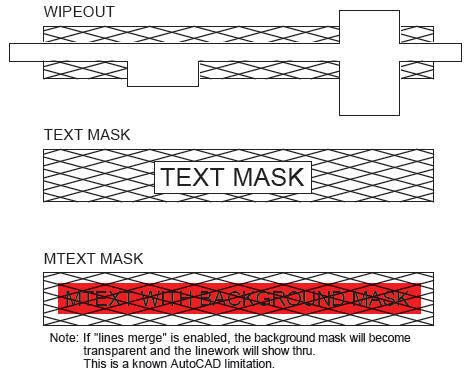 *In AutoCAD 2011 Autodesk finally fixed this behavior and the MText background is no longer transparent when using Lines Merge. 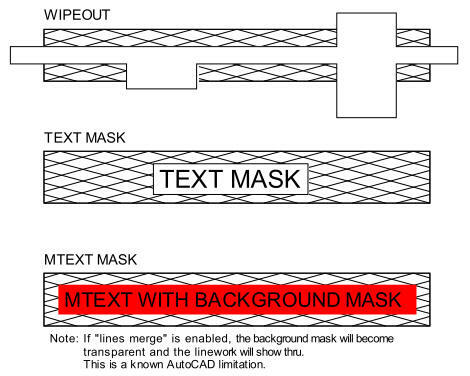 First off by design Autodesk made the MText Background Mask follows the lines merge settings so if you do have lines merge enabled the MText Background Mask will be transparent in AutoCAD 2005-2010. This is the exact opposite of the behavior of wipeouts and regular textmasks which are never transparent regardless of the lines merge settings. The output to our PDF matches Autodesk's DWF and also hardcopy output when it comes to lines merge and MText Background Masks. Below is the output with lines merge turned Off. Below is the output with lines merge turned On in AutoCAD 2005-2010. The PDF Specifications handle the way that transparency is calculated and displayed in a PDF. Unfortunately this is slightly different than the way the printers handle the transparency output from AutoCAD. 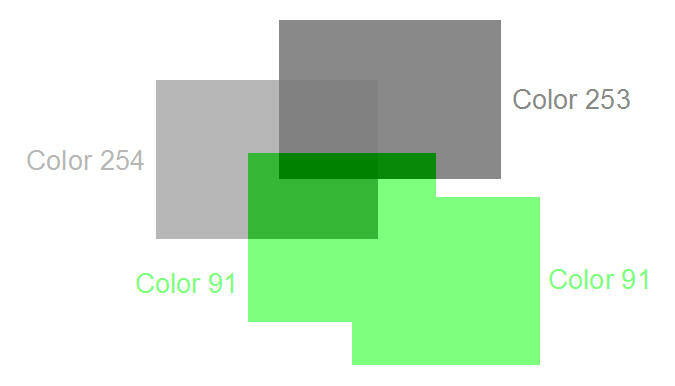 Typically from AutoCAD overlapping objects of the same color still display as the same color as shown in the screen capture from AutoCAD below. In AcroPlot as the default we use a Darken transparency for AutoCAD drawings. You can change the Transparency setting in AcroPlot by going to Setup->Options then on the PDF Tab there is a setting towards the bottom left. While this transparency is slightly different than what AutoCAD's print output would create on most plotters it is the safest one to use most often because overlapping colors still display as the same color. Just as it says it uses the darker color of the two. So you can see where the color 254 does not bleed through the Color 253 like AutoCAD's hardcopy output does. Here's a capture of what the Darken transparency looks like. The only other close option is to use a Multiply transparency. 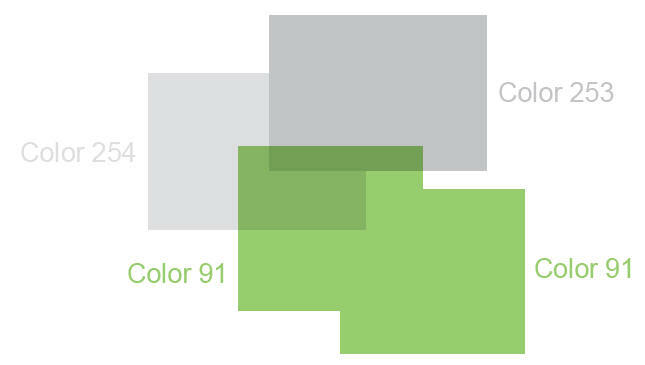 This allows the Color 254 and Color 253 to combine into a darker color like the AutoCAD output. 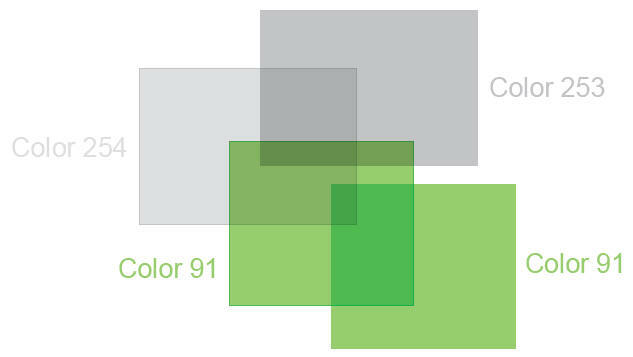 The problem with this is that the way the specifications define the calculations you can get overlapping areas of the same color that end up being darker as can be seen in the Color 91 overlaps. You really can't tell it much in these screen captures but it really shows up in filled areas because the outline is one object in AutoCAD and the fill area is another so the edges end up being darker. It doesn't happen with all colors but it happens enough that we decided to use Darken as the default for AcroPlot. Below is the screen capture using the Multiply transparency. Problems printing PDF files from Adobe Reader, Acrobat, and most Ghostscript based Reprographics software. The third problem is that by using the lines merge the rendering or printing software has to do the work to calculate the transparency and final color of the overlapping areas. This is a problem seen in all PDF files that use transparency, not just AcroPlot PDF files. 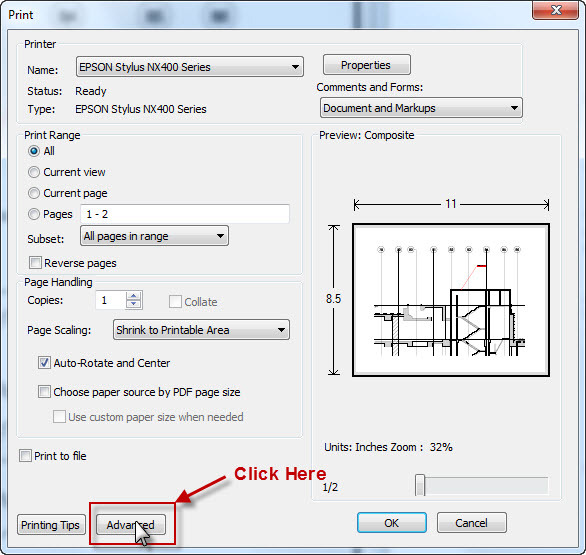 Users have said that it doesn't happen with other PDF Printer Drivers but that is because most PDF printer drivers do not actually support the lines merge from AutoCAD. It may say so when you setup the PC3 file but if you actually look at the results the lines are opaque, not transparent. While this is no problem on the screen it can be a problem when printing the PDF file depending on which program you are using. This process is called Flattening in Adobe Acrobat and Adobe Reader and can sometime take several minutes because Adobe has never optimized their process to work with large format engineering type drawings. With Adobe Reader or Adobe Acrobat sometimes you will see a dialog that says it is flattening the PDF file during printing. 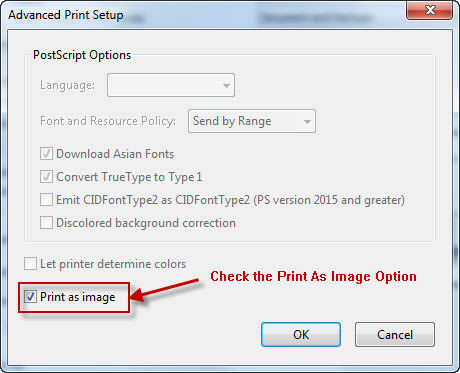 If the printing process takes a long time you may want to try selecting you printer then hitting the Advanced button in the lower left of the Adobe print dialog. Then there should be a checkbox where you can select to "Print As Image". In the full Adobe Acrobat you can also specify the DPI like 300 or 400 but the free Adobe Reader only has a Print As Image option with no DPI Setting. So it's up to each user to decide if they want to enable the lines merge option on the AcroPlot AutoCAD Options Tab or not when converting DWG and DXF files. When converting DWF files or PLT files there are no options and if the original DWF or PLT file contains lines merge we also have to convert it to PDF with the lines merge otherwise the PDF may not be identical to the original file. Some users have implemented a process where they include a title page in the PDF files that they send out that informs the user that they may have to use the Print As Image option from Adobe Products. On Oce plotters if you have the Oce-Adobe PDF Option on the controller you should also have no problem. But if you do not then it is probably using the free Ghostscript to do the conversion from PDF to monochrome Tiff and Ghostscript becomes extremely slow with lines merge PDF files. Our AcroPlot Repro will plug-in to replace the Ghostscript and although it is not free it is a fraction of the cost of the Adobe Option from Oce. KIP Powerprint uses their own conversion engine which also has the same problems as Ghostscript and again our AcroPlot Repro can plug-in to replace their software. Metaprint also uses Ghostscript so again our AcroPlot Repro is the best solution. The Xerox Access software unfortunately does not have a plug-in option so you can use our AcroPlot Repro to batch process the PDF files to Tiff and then load the Tiff files into your Access software.